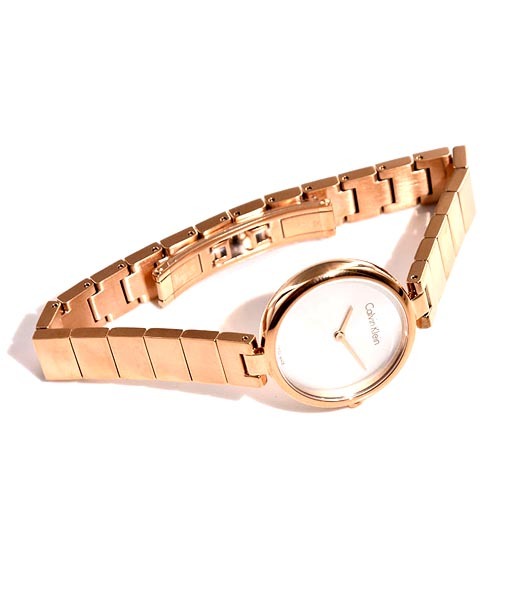 Put an elegant twist into your finishing look with this chic Calvin Klein timepiece. Stainless steel case. 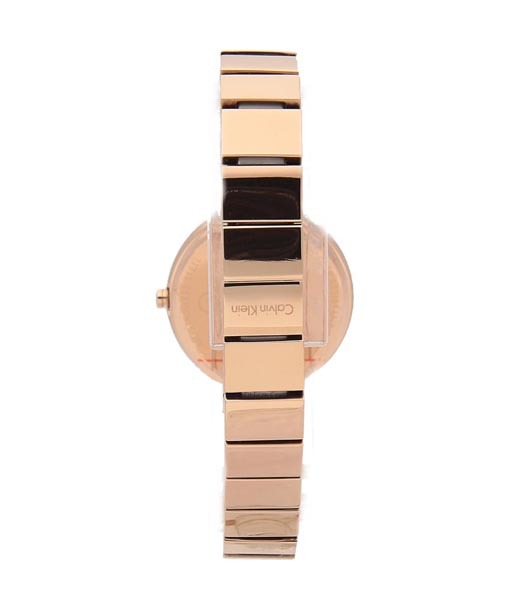 Rose-gold bracelet with butterfly buckle closure. Round face. Two-hand analog display with swiss quartz movement. 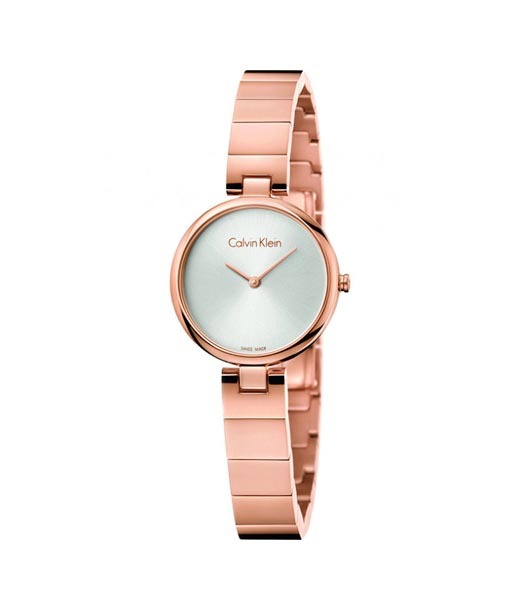 Mother of Pearl dial features rose gold-tone hands and Calvin Klein detailing. Water resistant up to 30 meters / 100 feet. Imported. 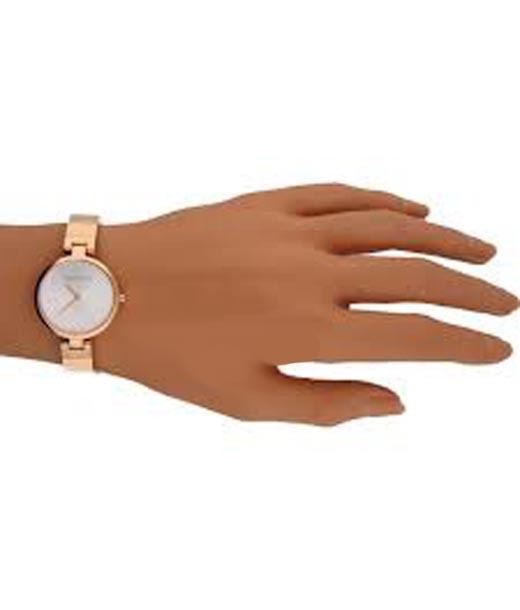 Measurements: Case Height: 27 mm Case Width: 27 mm Case Depth: 6 1?2 mm Band Width: 4 2?5 mm Band Circumference/Length: 8 1?2 in Weight: 2 oz This product may have a manufacturer's warranty.